If you're lucky enough to find some Foraged Feijoa or if you're really lucky and happen to have a bush or two, here's a good way to enjoy them. 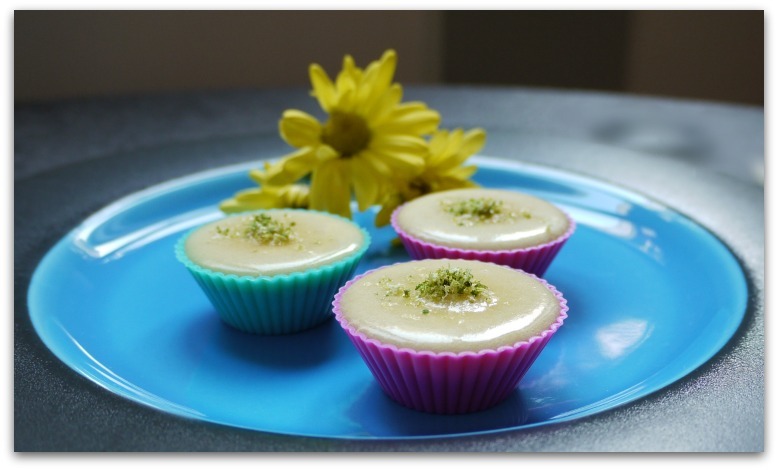 Fairy Cakes are traditionally made in mini cupcake cases but you can make them in larger ones if you can't find the small ones. Since this batter makes lovely sponge and is quite versatile, you can use it for making little cakes of other shapes and sizes too, just use your imagination and any other pan you have on hand. Just be sure to not to over bake them. Remove them from the oven when they spring back when touched. Don't let them brown! 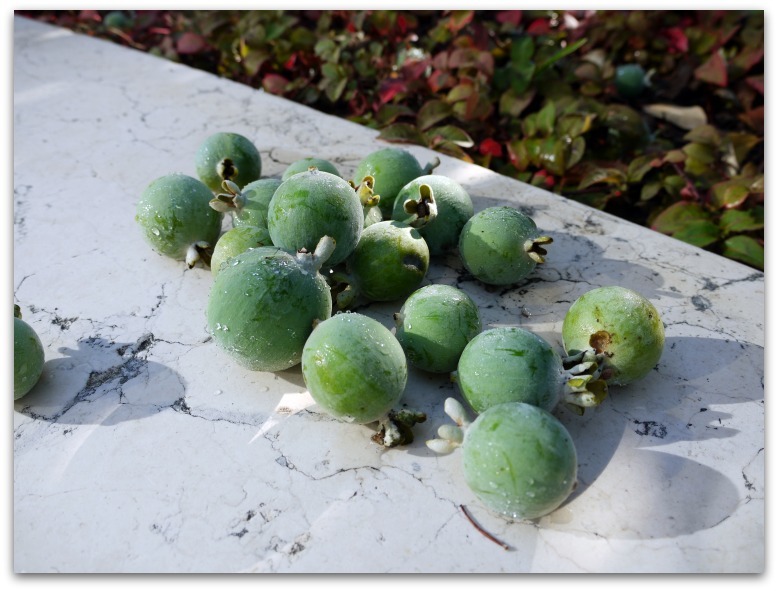 If you don't have any Feijoa on hand you can substitute passion fruit with equal success. 1. Line your muffin tins with paper or silicon cases. 2. Mix together the flour, baking powder and salt together. Set aside. 3. Mix the milk and vanilla together. Set aside. 4. In the bowl of an electric mixer or using a hand-held mixer, beat the butter and sugar together on high speed until light and fluffy. Add the eggs, one at a time and beat well after each. It's OK if the mixture looks curdled. This is normal. 5. With the mixer on low or by hand, alternate adding the flour and milk to the butter mixture in two additions until just incorporated. 6. 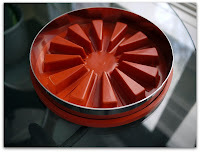 Fill each of the cases or mini cake moulds until one third full. You can use a pastry bag, or drop the batter from a spoon. Be sure not to overfill the cases and try not to get batter on the sides. When they are finished they should not be higher than the height of the case. 7. Bake until they just spring back, they should not be browned at all. 8. 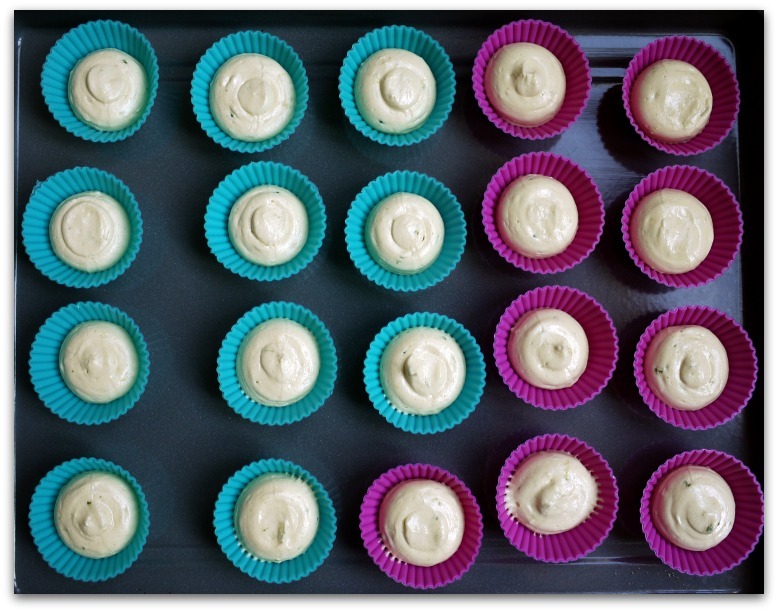 When they are finished baking, pop them from the baking pan onto a cooling rack but leave the cakes in their individual cases. While the cakes are cooling, prepare the glaze and lime sugar. 1. Cut the Feijoa in half and scoop out the soft insides into a sieve and press them through the sieve to remove the seeds. You should have about 1 cup of Feijoa pulp. Pour the mixture into a blender or food processor. Add the lime juice and process until smooth. 2. Pour the puréed Feijoa into a sieve resting over a medium sized bowl. 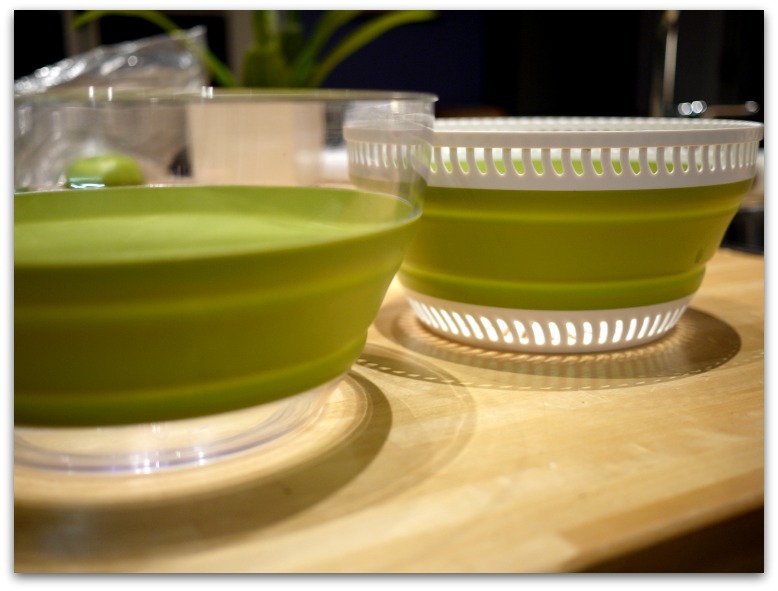 Using a spoon, stir and press the purée through the sieve into the bowl. 3. Add the icing sugar and stir well. Add the food colouring a drop at a time until the colour is pleasing to you. Pour the glaze into a measuring cup with a lip or a pitcher for pouring. 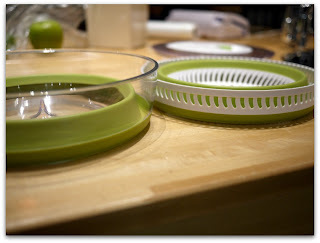 Grate the lime zest into a bowl and add the sugar. Using your fingers, rub the zest and the sugar together until it's well mixed. It will smell wonderful. 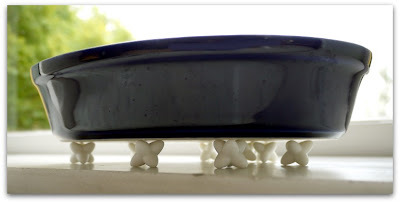 Arrange the cakes on a baking tray and carefully pour a bit of the glaze on top of each until the top appears level. Allow the glaze to crust for about 1/2 hour. Sprinkle a bit of the lime sugar in the centre of each. Allow the glaze to crust for an additional 1/2 hour or so and serve. Enjoy! Of all the things Monaco is known for, I'll bet you never thought that foraged food would be one of them. You'd be surprised how many things you can find in and around Monaco that are edible and delicious. And free! One morning on my daily power walk from our nest in Monaco-Ville to Larvotto Beach, I stopped to stretch out the old hamstrings and something nearby caught my nose that was sweet and enchanting like the smell of candy necklaces mixed with limes. It was obvious where the aroma was coming from. Under the nearby bushes where I had perched my foot, the ground was covered with hundreds of little sage coloured fruits about the size and shape of little eggs. They were Feijoa, a fruit not very well known here but very well known in Brazil where they are native and in New Zealand where they are common and used in baking and to make preserves. 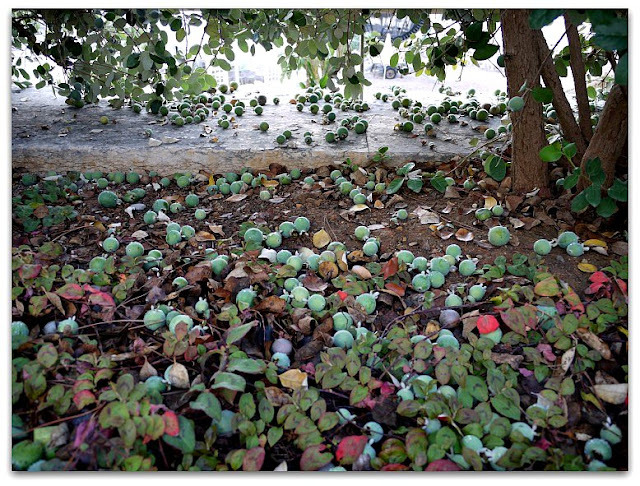 Lucky for me, many of the fruit had ripened and fallen under the bushes within easy reach, safely scattered on a soft ground cover. Instinctively, my long forgotten childhood foraging training kicked in. 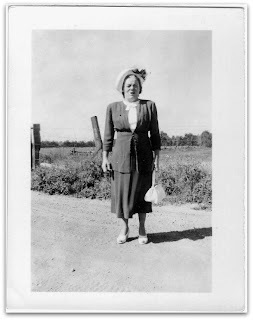 My grandmother was an avid forager and as I child she'd recruit me and my sisters for her little foraging outings. 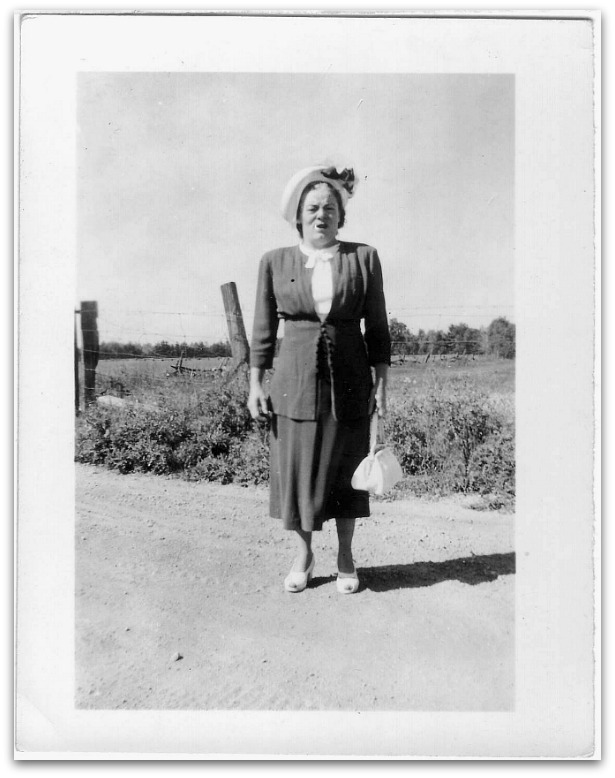 Together we'd collect rose hips from local parks, fiddle heads from forests in the springtime and little wild strawberries which were my favourite. I really didn't see the point nor appreciate her quirky enthusiasm at the time. Like most children I preferred to get all my food from the fridge or the cupboards. According to the The Huffington Post, food foraging is just the next step in the "eat local" craze even though it was simply a matter of survival for humans since the beginning of time. 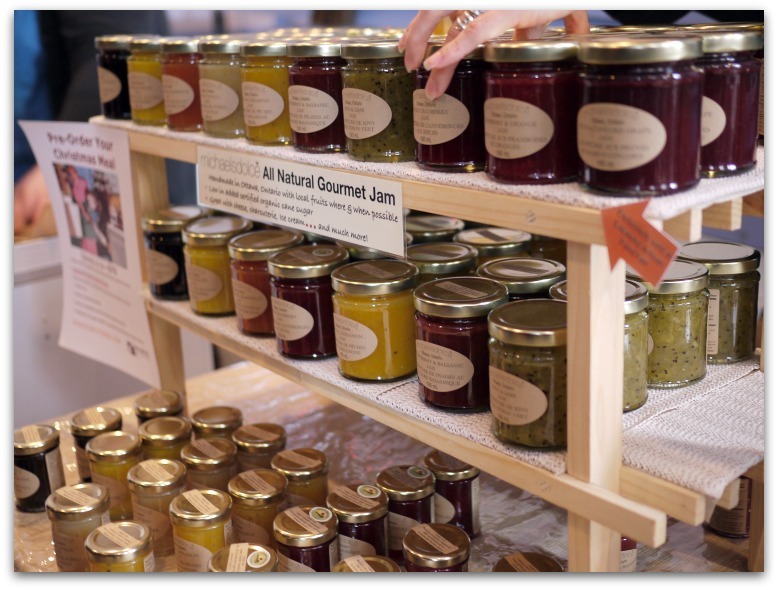 What with the world wide food scene being saturated and seemingly there's nothing new to eat, food foraging is building momentum and becoming fashionable. Take for example Chef René Redzepi and his ground breaking Copenhagen restaurant, Noma where his menu includes ingredients that have been foraged from Denmark and neighbouring Nordic countries. He was recently awarded the San Pellegrino "Best of the World's 50 Best Restaurants" Award. He must be doing something right. Or interesting. Or both. His dazzling cookbook, Noma includes recipes for dishes like Sea Buckthorn and Beetroot Flødeboller, Bulrushes, Thuja Cones, and Ramsons Leaves. What could be more alluring than that? I've been known to grab the occasional sprig of rosemary or lavender as I walk by a bush or to return from a mountain hike with some wild thyme stuffed in my pockets but finding those Feijoa kicked it up a notch. Because Feijoa are so fragile they are not usually shipped which explains why they aren't found in supermarkets like Carrefour. In fact, fragility and rarity are two of the top characteristics of foraged food. I've seen Feijoa occasionally being sold by the local producers in the markets in Ventimiglia or Menton but only rarely and in small quantities. 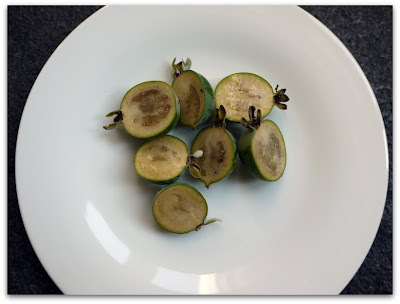 When I got the Feijoa home I ran to my laptop, did some surfing to learn more about them and tentatively sliced a few open to taste them for the first time. Their skin was hard and slightly bumpy and the minute I cut them open I knew what to do with them. 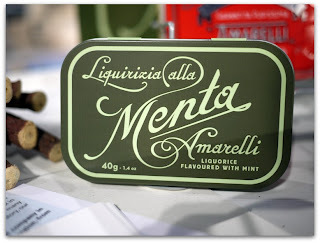 They tasted as delicious as they smelt, fruity and sweet and reminded me a bit of guava. Over the course of 3 days of power walks, I filled my nap sack with them until the fourth day when they disappeared altogether, presumably gathered up by the gardeners and tossed out, fastidious bunch that that are. Or maybe another forager took them. Luckily I had gathered about 2 kg, enough to create a new recipe: Fairy Cakes with Feijoa Glaze and Lime Sugar. My Brazilian friend snagged the rest of my foraged bounty to make jam after she smelled them in my kitchen and politely asked to have them. Well, there's one more week before Christmas arrives so you'd better shake a leg! I love giving food gifts and since I travel often to foodie locales I always find delicious and unusual things to bring back and share with friends. Sometimes I give them the goodies directly but more often than not, I whip up dinners and invite them over for a culinary equivalent to the vacation slide show. 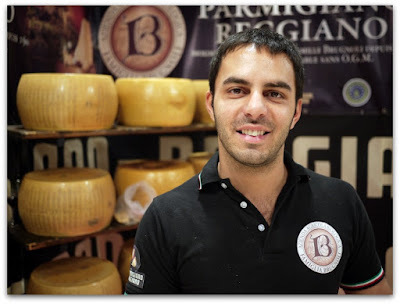 Either way you chose, here are some things I discovered this year from Italy that you might like to share with your foodie friends. That is of course if you don't become a little holiday piggie and keep them for yourself, quite understandably. 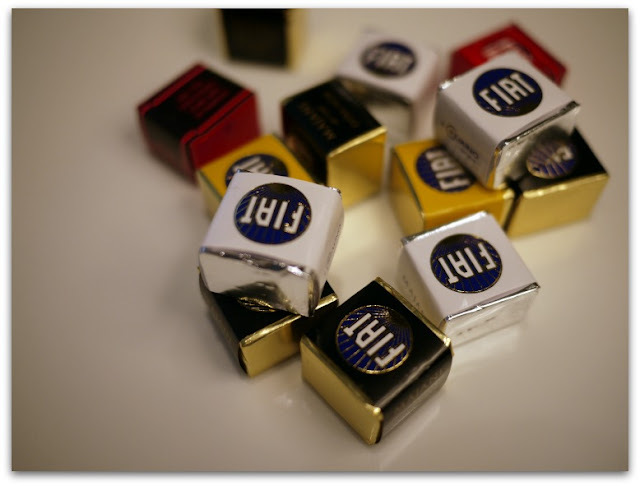 Here's a fun twist on the classic gift of chocolate. These melt-in-your-mouth layered "Fiat" chocolates by Bologna based chocolate makers, Majani were originally created in 1910 to celebrate the launch of the Type 4 Fiat. They also make a sugar free version. I love the cool packaging. 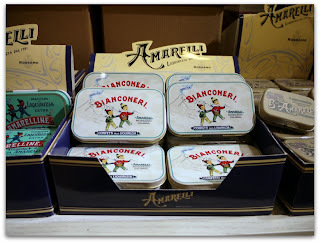 I first spotted these little boxes of Amarelli Licorice in a Depachika or Japanese Food Hall in Tokyo. They were hosting an Italian food festival and I was immediately drawn to the charming vintage images on the little tins. Fast forward to November of this year at the Monte-Carlo Gastronomy Fair where Amarelli had a booth and as luck would have it they were offering free samples. One taste and I was hooked. Now I keep them in my purse wherever I go, the orange flavoured ones being a favourite. 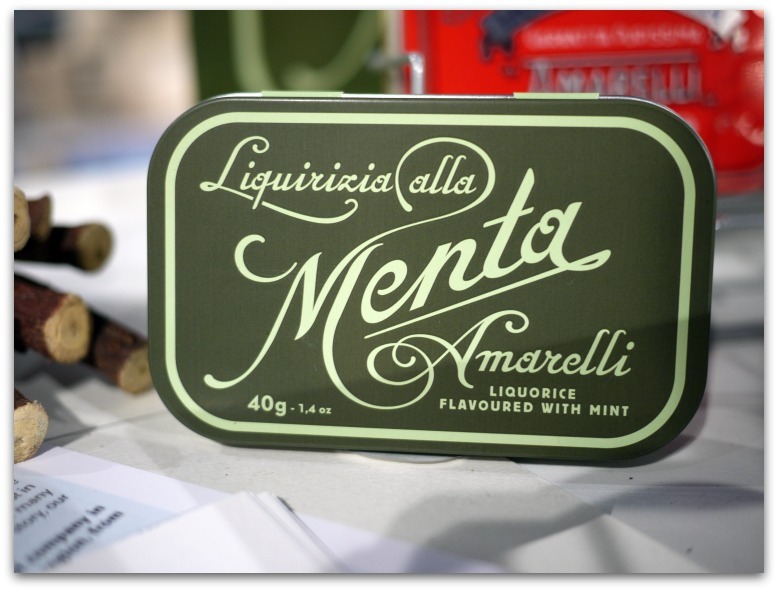 They should know their stuff since they've been making licorice candy from licorice grown in Calabria since 1731. 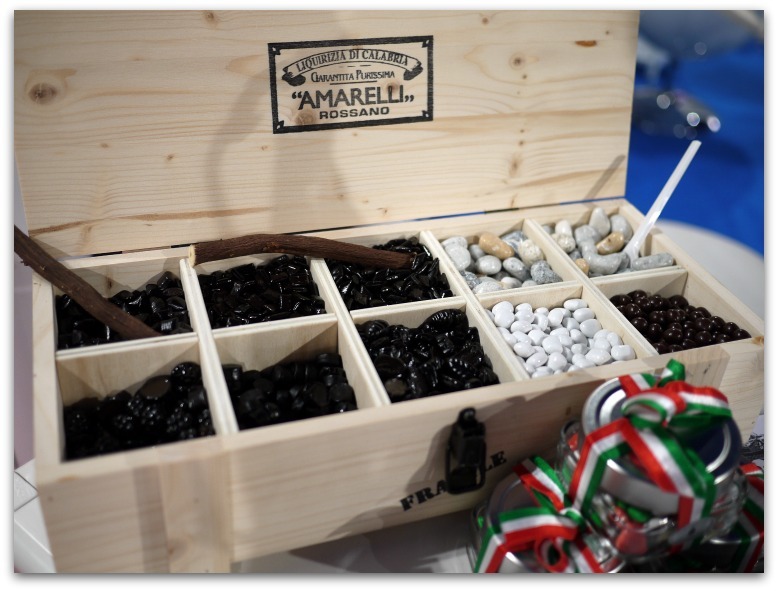 If you remember Black Cat gum from childhood, Amerelli licorice will transport you back there. What could be more festive than something glittery under the tree that you can use throughout the year? 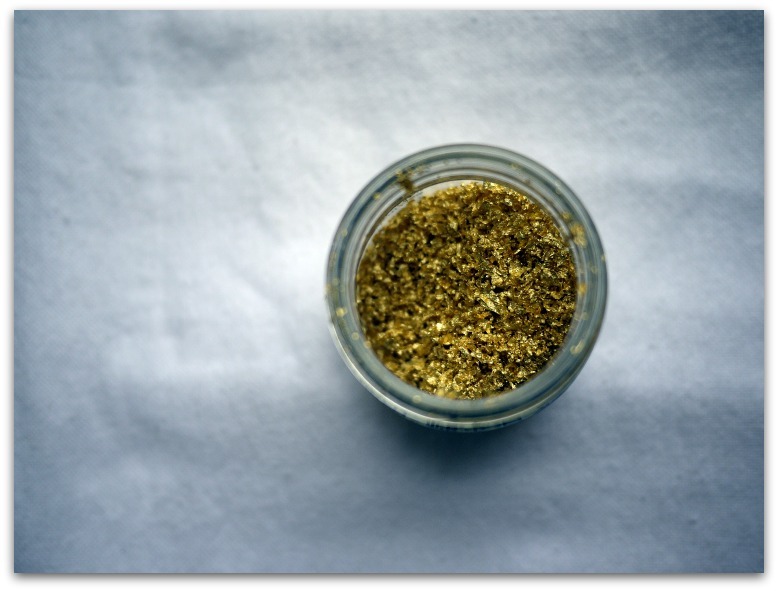 I posted about edible gold and where to buy it this summer and I think it would make a great Christmas gift. Florentine gold producer, Giusto Manetti Battiloro has a huge range of edible 23k gold products from dust to flakes to leaves. What could be more festive and fun than a bit of gold sprinkled on top of desserts, cookies, sushi or anything that needs a bit of sparkle? 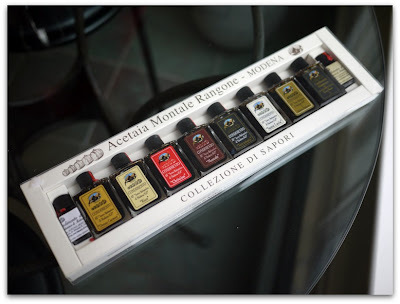 I'm loving Acetaia Montale Rangone's Collezione di Sapori or Tasting Collection kits consisting of 3-10 of their balsamic vinegars. It's a fun way to amuse and test your palette and with the kit of 10 samples (pictured) you also get a little bottle of their very fine 25-year-old Extravecchio and another of their 12 year-old Tradizionale. 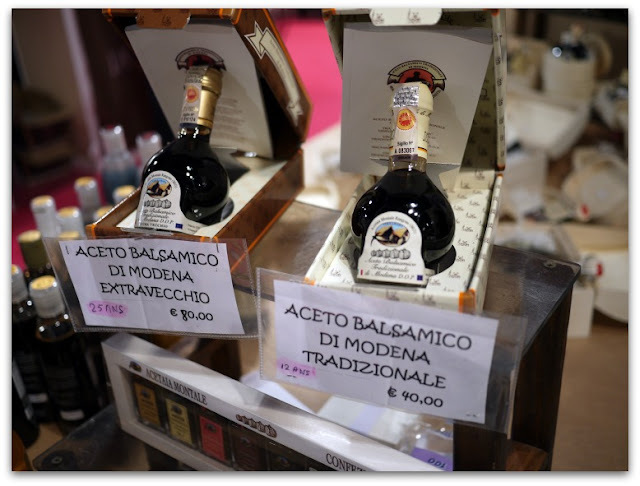 These two are usually only available in the larger and much more costly maraca shaped bottle as dictated by the certified balsamic vinegar manufacturer's consortium, the DOP (Denominazione d'Origine Protetta). I'd save those for last. Of course a full bottle of their Aceto Balsamico Tradizionale wouldn't be so bad either since theirs is so reasonably priced. 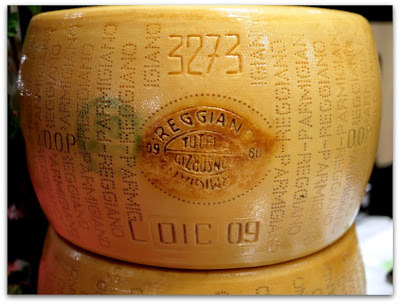 Not all Parmesan is created equal as we all know from shaking it from that green cylindrical can when we were young. You know what I mean. 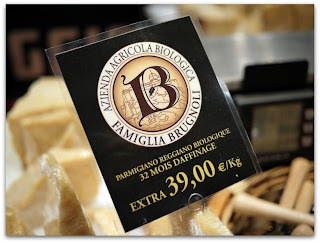 I first tasted the Brugnoli family's Parmesan last year at the Monaco food fair and it's become a bit of an obsession ever since. They've been making their award winning Parmesan on their farm in the hilltop town of Bardi in the province of Parma since the 1960's. 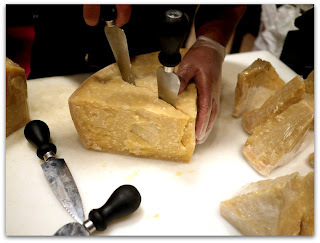 Now whenever I buy Parmesan I ask for it. It's sweet, buttery, floral, salty, and sprinkled throughout with tiny flavour crystals characteristic of the best Parmesan. If you're lucky enough to find a wheel stamped with the spring months of aprile, maggio, giugno, or luglio (April, May, June or July) buy as much as you can carry. Parmesan from these months is particularly good since this is when the herd is finally released from the winter barns to feast on spring meadow grasses and flowers thereby producing the sweetest most fragrant milk of the season. No one does hazelnuts better than the Piedmontese so it's natural that the Cuneo based confectioner Bergese & Paganelli, excels at creating hand made chocolates and other sweets using hazelnuts, intense dark chocolate and locally farmed ingredients. 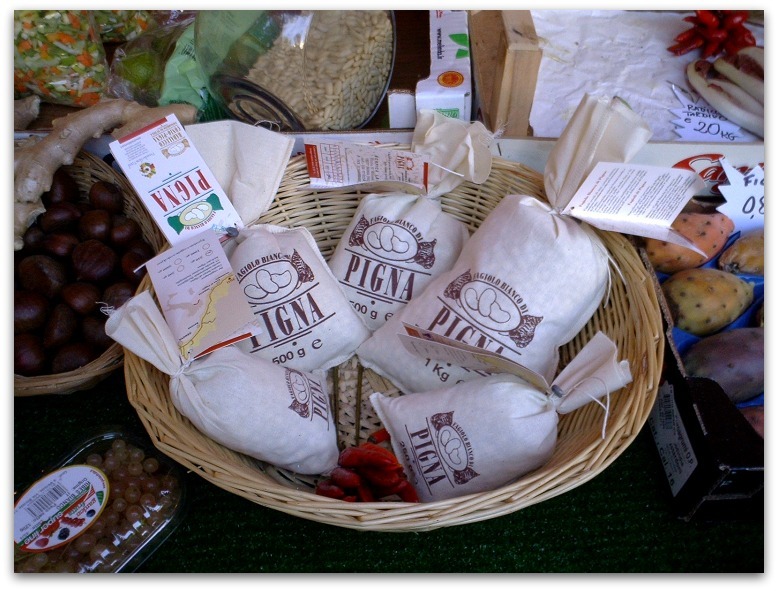 At the 2006 Monte-Carlo Gastronomie they walked away with the Slow Food best artisanal product award. As luck would have it, they ship. The stunning Relais San Maurizio Resort and Spa is perched amidst rolling hills covered in moscato grape vines in a sympathetically restored 17th century monastery just outside of Alba in the Piedmont. 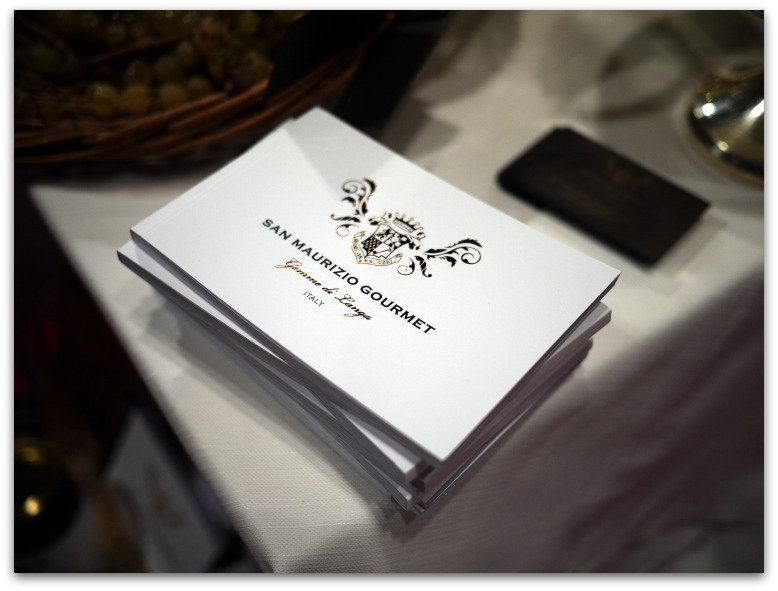 As if that weren't fabulous enough they've just launched a line of fine foods under the label, San Maurizio Gourmet. So what's the big deal you may ask? Well, all of their products are made from ingredients sourced from the nearby producers and most of these ingredients cannot be found anywhere else. As an example, their Ottofile or "eight rows" cornmeal. Each Ottofile corn plant produces a single ear of corn with eight rows of kernels, hence its name, whereas modern corn plants produce 2-3 cobs with 18-20 rows of kernels. 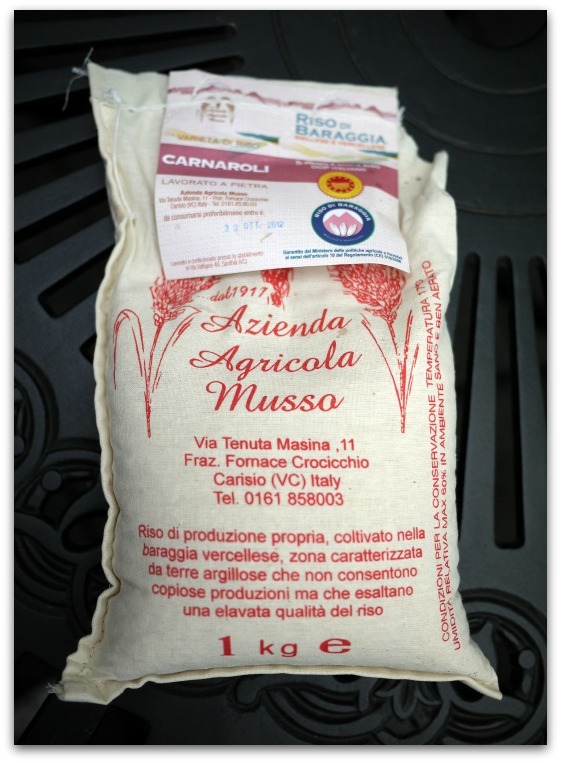 The Ottofile cornmeal makes creamy, rich polenta and perfect Paste di Meliga or Piedmontese polenta cookies. 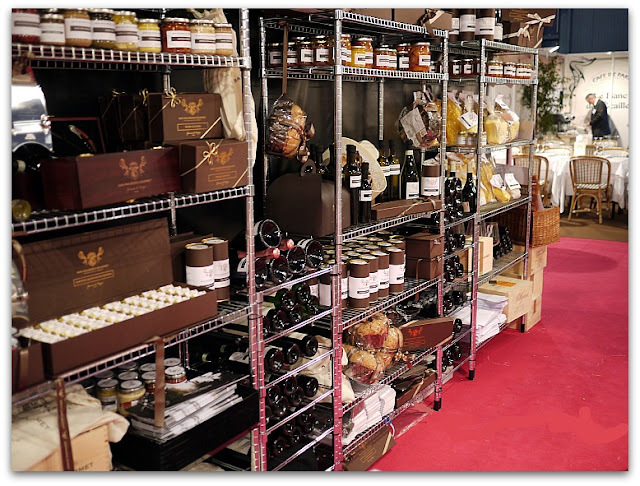 Some of their products include tomato sauces made with local Borolo and Barbaresco wines, pastas with truffle, cookies, chocolates, wines, and limited editions of olive oil from the ancient olive trees that surround the Relais. Just hope that if you give any of their products as gifts, you're invited when they're served. 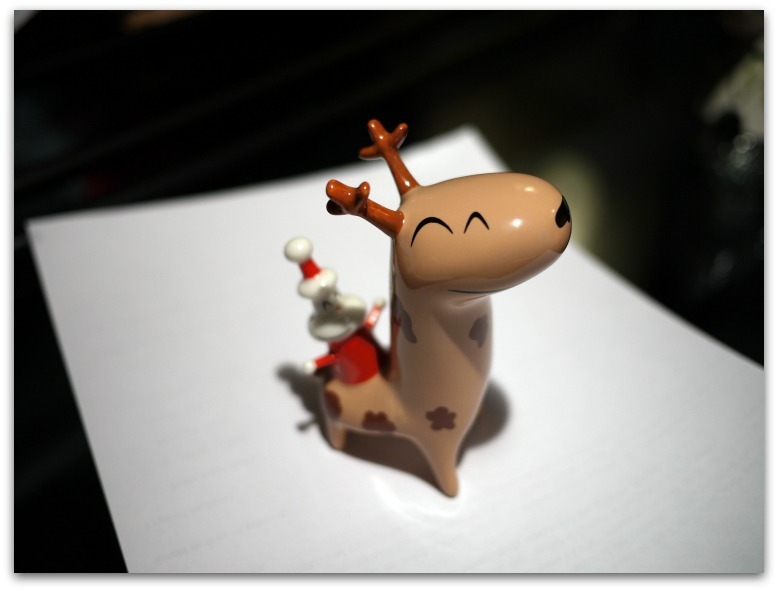 Merry Christmas to you and I hope you find pleasing goodies under your tree to share and remember. I'd been following tweets and re-tweets from LAFF (Locavore Artisan Food Fair) and LAFF devotees for a couple of months since I left Canada to spend the fall in our seaside shack in the south of France so when I landed in Ottawa for the holidays this week and started seeing tweets about their event this Saturday, I put everything aside and shot over to have a look. 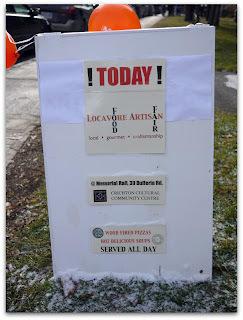 The LAFF event was at Memorial Hall on Dufferin Road in Rockliffe and when I snagged a Kojak parking spot near the entrance, which always bodes well, and it just got better and better from there. 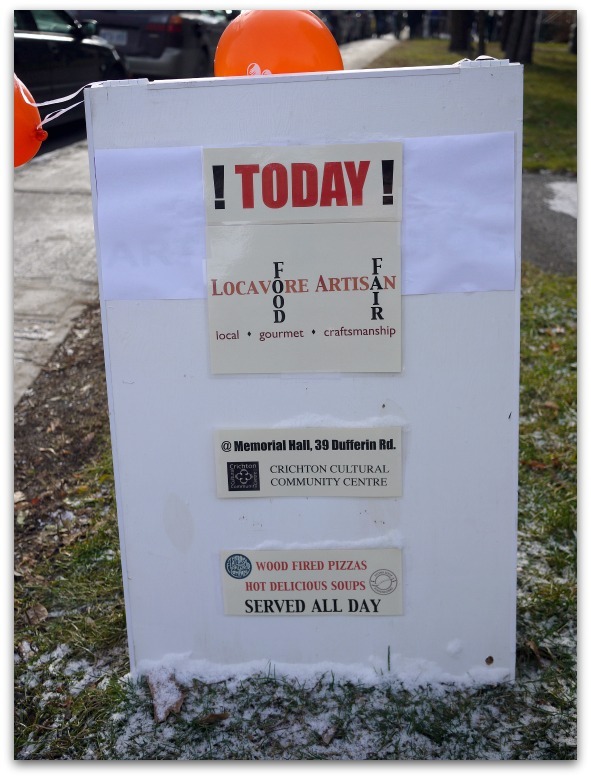 Mark and Kendra of The Flatbread Pizza Company were out front firing up their wood fired pizza oven and while snow swirled around us we got caught up and then when the wind picked up I dove inside. Greeting visitors was the charming Nicola Maule, LAFF event organizer who brought me up to speed on the LAFF concept among other things. I'm lucky to have caught her when I did because the crowd was thick and relentless. 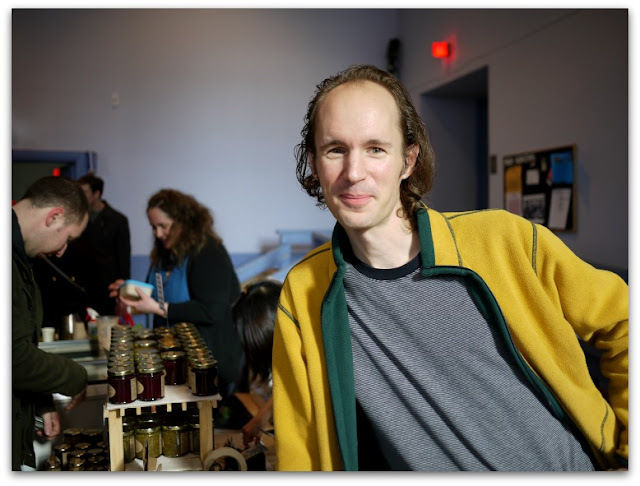 I'd been intrigued by the buzz surrounding confiseur Michael Sunderland of michaelsdolce and his seasonal preserves. I'm a huge fan of preserves of all sorts, having made many myself, so I propelled my way through the crowd to taste what he was up to. 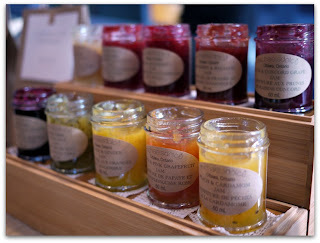 The first thing I noticed about Michael's preserves were the vibrant colours. Then I noticed the soft consistency. Then I sampled them. Magic. Their soft consistency intensified the flavour of the fruit and revealed his skilful layering of flavours that would have been lost had he made them firmer. 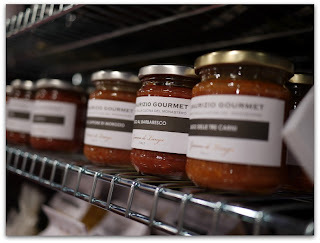 Michael's preserves remind me of the elegant post-dinner cheese cart at Alain Ducasse's three Michelin-starred restaurant, Le Loius XV in Monaco where you are always offered preserves made by French confiseur Christine Ferber to accompany their fine French cheese. After sampling Michael's jams I thought about pairings. His Orange and Ginger Jam would be sublime with Italian sheep's milk ricotta on thin slices of toasted Baguette Classique from Art-Is-In Bakery. His Blueberry and Lavender Jam I'm trying with a fresh goat cheese that I bought from Clarmell Farms who were at the back of the hall. His Strawberry and Balsamic jam I'm just going to eat straight from the spoon. I'm grateful that I was lucky enough to meet Michael, considering the crowds, congratulate him on his superb jams and grab a few jars before he was completely sold out. Michael was not the only skilled artisan I discovered today. I started the day with a chance meeting with Jennifer Winter of KōKō Chocolates, a Chocolatier who wasn't at the LAFF event at all. 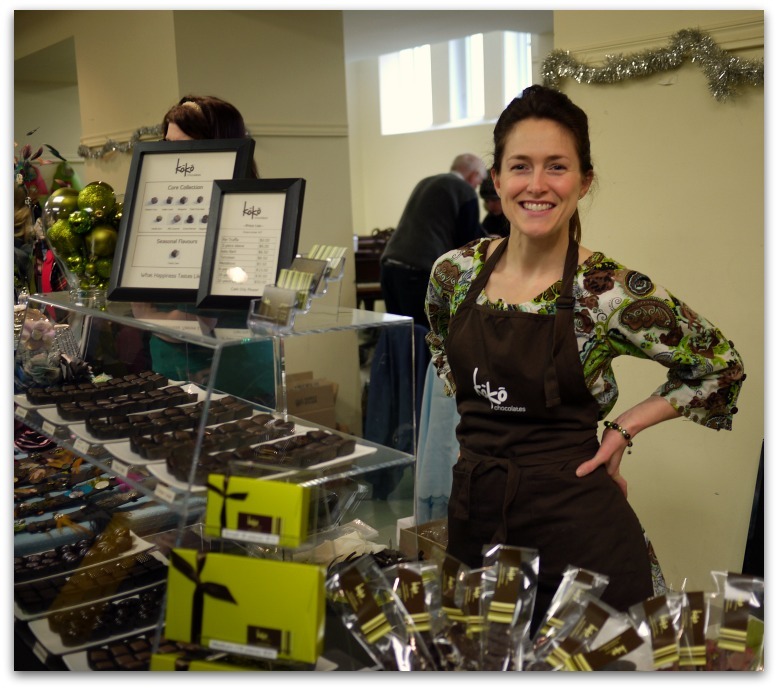 She was at the Craftalicious show at St Matthews Church in the Glebe. Just by chance I spotted a sign for the show en route to my car, took a detour and I'm glad I did. 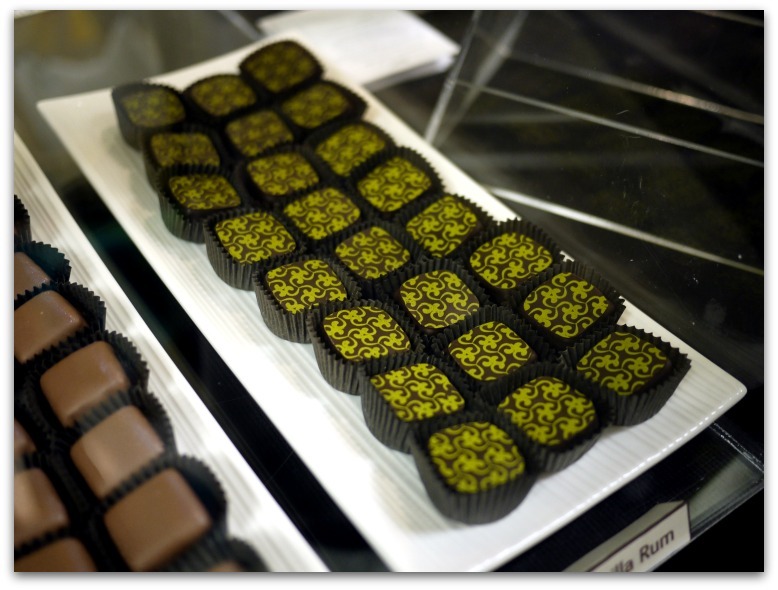 Her beautifully made chocolates made her stand out from the crowd and her mastery of chocolate making was obvious the minute I ate one. Seeing so many food artisans today surrounded by so many devotees was encouraging and definitive proof that the food scene in Ottawa is roaring along in a way that I never would have predicted 10 years ago. I have just a few weeks left to my holiday visit. 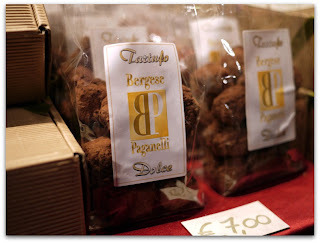 Who knows what other culinary treats are in store? 'Tis the season! 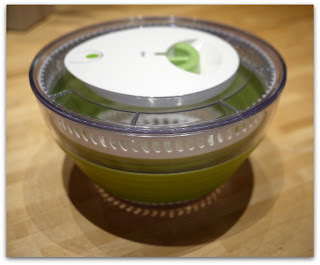 If those gadgets you gave your foodie friends last year didn't go over as well as you were hoping, take heart! Here are 7 gift suggestions that should please any foodie. Well, maybe 8 if you count the adorable Alessi figurine above. Hubby just bought me that. Thank you again darling. I know I'd love to see any of these goodies under my tree That is if I didn't own them already. 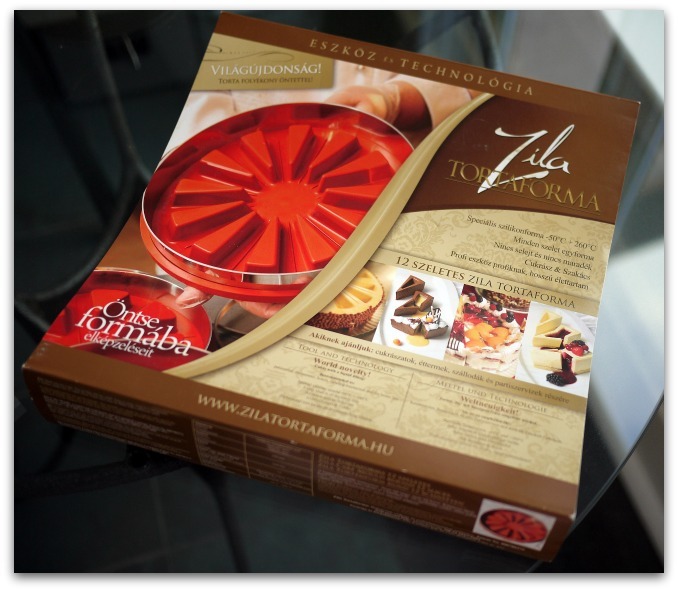 Hungarian company Zila has launched a unique and versatile line of silicon moulds. One side of the mould has indentations that you can fill to make perfect wedges. Flip it over and you can make a cake with indentations or you can cut between the wedges to make perfect portions, each with a wedge-shaped indentation that you can fill with whatever your heart desires. They can withstand temperatures up to 260°C so you can use them to make baked goods, candy, gelatin based or frozen desserts, even ice. Clever! 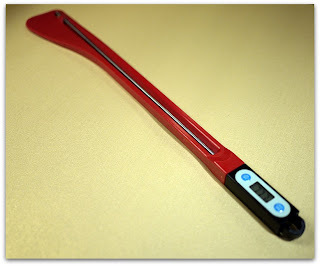 A good friend of mine gave me this Matfer-Bourgeat Exoglass Spatula as a gift for candy making and I've since tossed all of my other thermometers to the back of the drawer. The thin thermometer slides into the spatula so you can stir and measure temperature at the same time. It's 39cms, (15") long so your hands remain at a safe distance from whatever it is that you're stirring. Last month I posted about Craggles by Andreas Born of Swiss company, Zak! Designs and I think they'd make a perfect gift for both foodies and hostesses. 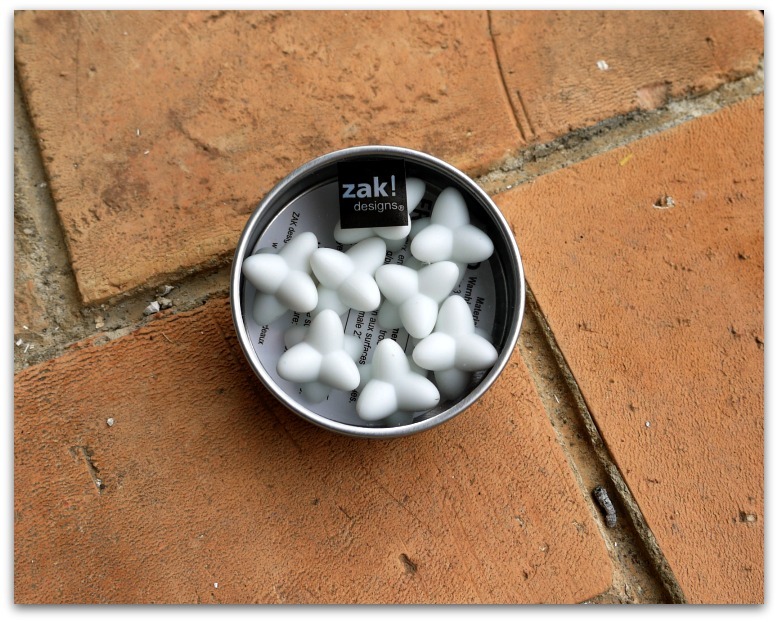 Enclosed in a little watch case about 3" wide, are 8 little white bloated jacks made of silicon. 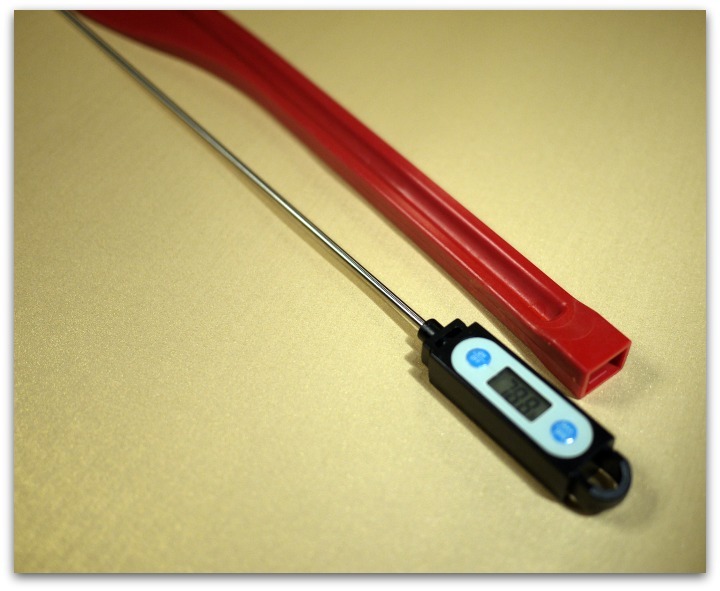 Each of them can support a weight up to 1kg and are safe up to a temperature of 220°C. These ultra-fine sieves will strain out even the tiniest particles from whatever you run through them. 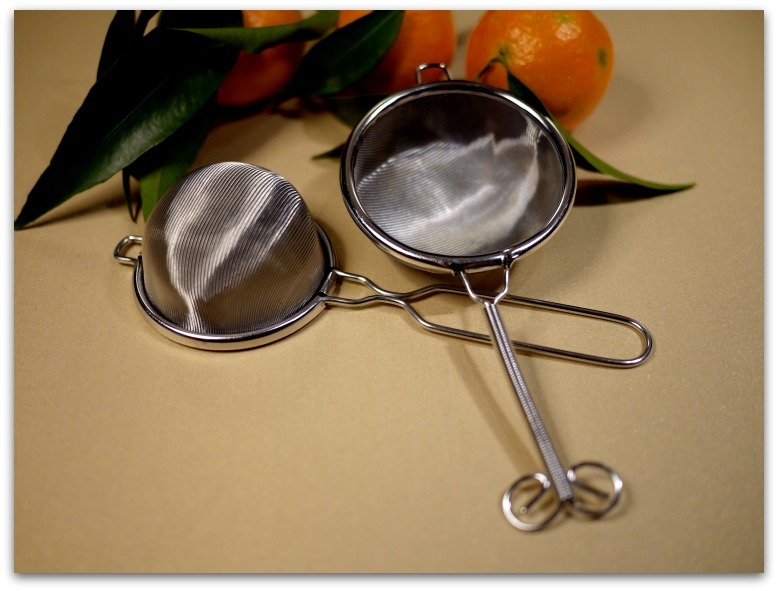 I use them to clarify broths, strain tea, juices and to separate liquids from oils. I first found them at the Aritsugu Knife Shop in the Nishiki Market in Kyoto and years later I bought them for my friends from Tokyo's Kappabashi Street where they were easy to find and a lot cheaper. You can also find them in the cookware stores along Shanghai Street in Hong Kong. 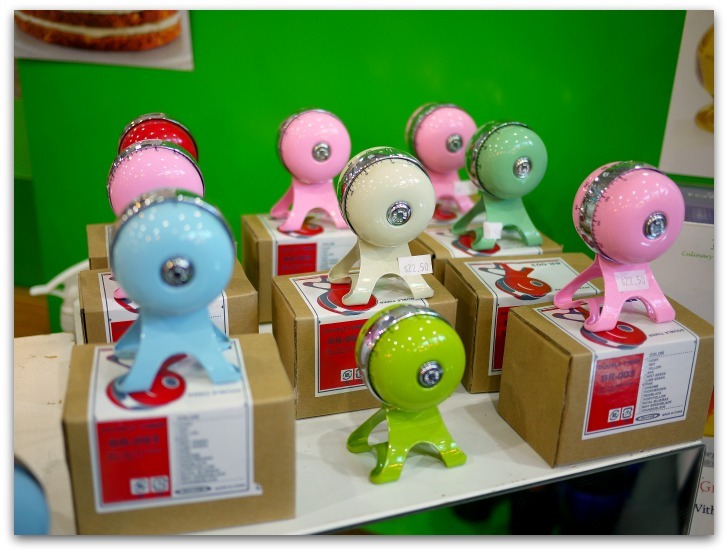 I've never found them outside of Asia but if you have a local retailer who carries Japanese goods, he may be able to order them for you. 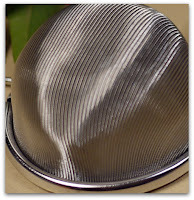 I love this salad spinner. 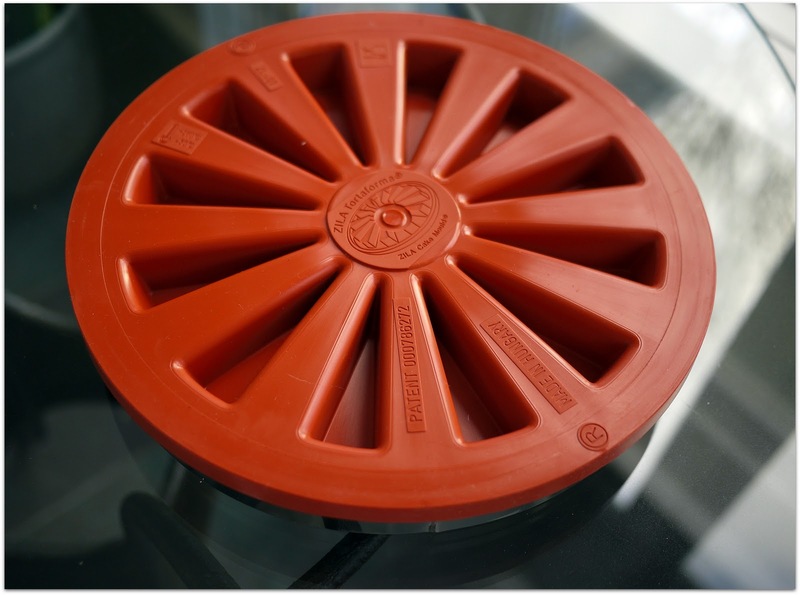 It's so beautifully designed and it's made from high quality, thick plastic and rubber. Best of all, it collapses to a quarter of it's full height so it takes up hardly any storage space. If you're in a hurry to make that salad, it also has a little button to press to stop it from spinning. I've been a subscriber to Edward Behr's quarterly magazine, The Art of Eating for a few years now and I think he's one of the most intelligent and informed food writers on the scene today. 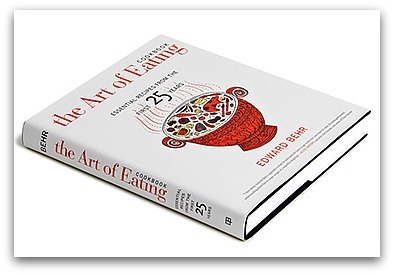 I got really excited when I heard about his new The Art of Eating cookbook and I can hardly wait to dive into it. So what do you do when you're baking two things at the same time each with a different finish time? Use your new Dulton dual timer of course! There's one timer on each side so you can time two things at once or set a warning bell on the first timer before the second timer rings. I also love the retro colours.